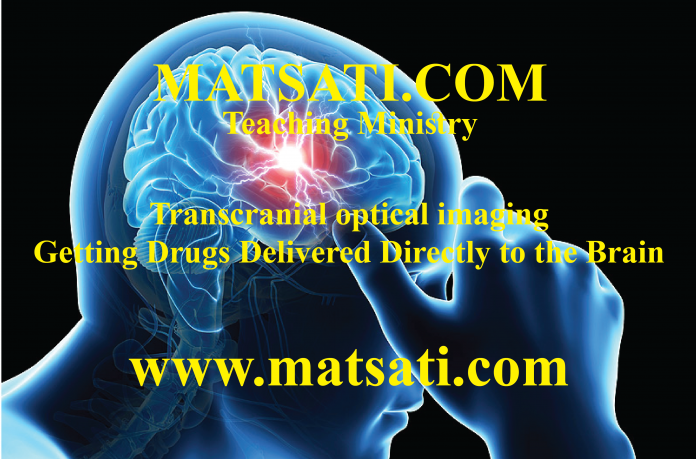 Recently researchers believe they have discovered a new way to get drugs delivered directly to the brain in a research paper titled “Transcranial optical imaging reveals a pathway for optimizing the delivery of immunotherapeutics to the brain.” (https://insight.jci.org/articles/view/120922) Here the researchers utilized transcranial macroscopic imaging to noninvasively evaluate in-vivo delivery pathways of CSF fluorescent tracers. The significance of this work is the way in which doctors treat diseases such as Alzheimer’s, Parkinson’s, ALS, and brain cancer. The authors of this study state, “The findings of this study demonstrate that the brain’s waste removal system could be harnessed to transport drugs quickly and efficiently into the brain.” It is known that the brain maintains a closed environment that is protected by a complex system of molecular gateways called – the blood-brain barrier – which tightly controls what can enter and exit the brain. The Lord God Almighty set the brain in a 7 mm thick skull, surrounded it by cerebrospinal fluid, to protect the brain from injury. The blood brain barrier is an added security feature which protects from invasive blood borne diseases. This causes problems for getting drug therapies directly to the active sites for diseases such as Alzheimer’s, Parkinson’s, ALS, or brain cancer. There is something very important that we can observe by the way in which God has designed our bodies, specifically the brain. The blood-brain barrier is a barrier between the brain’s blood vessels (capillaries) and the cells and other components that make up brain tissue. Whereas the skull and cerebrospinal fluid protect against physical damage. There are two components here, (i) the protection from physical injury, and (ii) the blood–brain barrier provides a defense against disease-causing pathogens and toxins that may be present in our blood. From a midrashic sense, the blood-brain barrier may be representative of a spiritual inner level of protection. This is an important observation since in this world, we are very aware of the physical influences, the consequences of our actions per say, we are aware of the external forces that move against our bodies. What goes on internally is less well know and/or understood. In a parallel fashion, we do not always know what is going on at an internal and spiritual level. What is going on in the background spiritually? It is entirely possible to go through life without ever being aware of our spiritual side, or even that God exists. Science on the other hand is based on observable, repeatable experiments. This teaches us that science is conducted in the present and not the past. On the other hand, forensic science seeks to reconstruct the past based on the observable evidence in the present, but there is always uncertainty because the events were not observed. In the life of the person who has been touched by God, he/she will say they have faith believing. This person actually has faith in an un-testable proposition that God exists. The point is, rather than being based on lack of knowledge, our faith is actually based on very real life changing experience. When a person puts his faith in Yeshua the Messiah, his life changes in a powerful way. One is given the power to overcome sin. This is an important point that is not scientifically testable but is a very real effect. Take for example the following question, “do you consider something to be real only if it is scientifically testable?” What about the question of whether love is real? Or what about historical events? Are they real? These questions demonstrate how real things such as love and history are not accessible via scientific experiments but yet these things are absolutely real. With past events, these things may only be determined by historical records as the event itself is not available for observation and physical testing and therefore not accessible by the scientific method (science). The point of this research is twofold. One we recognize the difficulty in researchers to deliver the much needed drugs for the purpose of therapeutically curing a disease. In our lives, delivery of much needed spiritual therapy is inhibited by sin. This prevents us from having a relationship with God. This is the reason why the Lord God Almighty is called the great physician. Note how Yeshua speaks of the need for a physician for only those who are sick, and then draws in the context of the sacrifice referencing “I desire mercy, and not sacrifice. For I came not to call the righteous, but sinners.” (Matthew 9:12-13) This is a rabbinic way to open the discussion about everyone’s need for healing on a spiritual level. This is what was going on in Mark 2:13-17, the Pharisees asked Yeshua why He was eating with sinners and tax collectors. Yeshua explained that He came so they could get to know the Almighty God in Heaven, and be healed from the inside out. It is out of compassion for us the Lord sent His son Yeshua to die for the sins of the world. Faith in God and in His Messiah Yeshua is based on very real life changing experience. When a person puts his faith in Yeshua the Messiah, his life changes in a powerful way because the God of Israel is entering into his/her life. These are the concepts that are being taught to us according to the Scriptures. If you want change to occur in your life in a powerful way, ask Yeshua the Messiah to come into your life and to save you from this world!